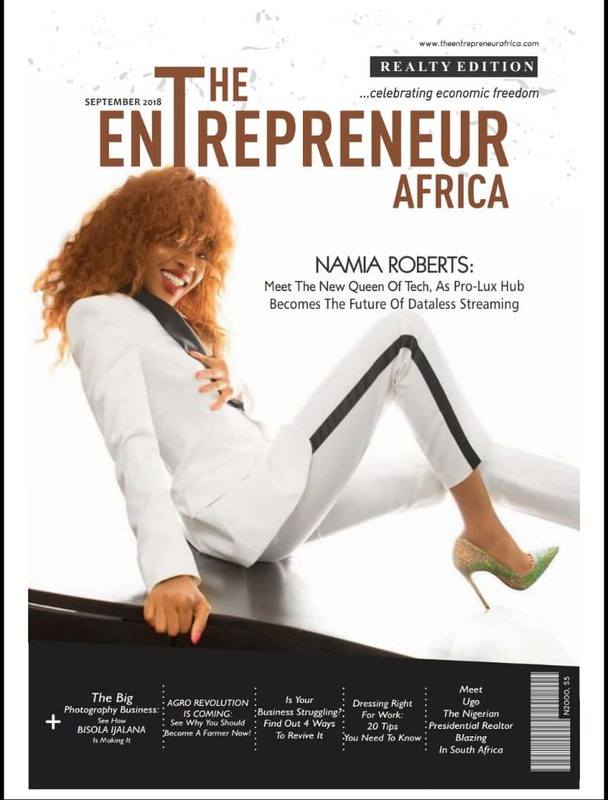 Here goes the September 2018 Extra edition of The Entrepreneur Africa Magazine!! This, titled the 'Realty Edition', is covered by Dubai-based wAfrica's youngest female mainstream movie producer, @namiaroberts . Her entrepreneurial story is what you need to be fired up today! Other amazing entrepreneurs also shared their stories in this edition. You'll love the stories of baby photographer, Bisola Ajalana; South Africa-based Nigerian presidential realtor, Ugo Asiegbu, etc. All you need to rise as an entrepreneur are contained in this edition. Go cup your own digital copy now. It's just N500.